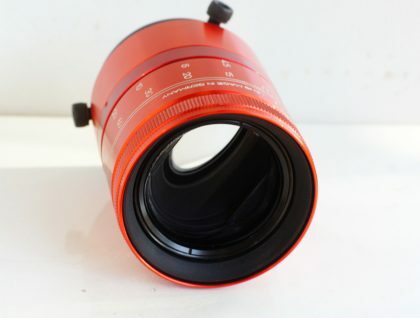 In this part 3 of the Article series, I bring you an updated and fully functional version of the Rig and Anamorphic Single Focus solution using the ISCO Red Ultra-star 2.1 (70mm diameter) Plus anamorphic lens! Camera Rig Support – Rig was reconfigured and strengthened to support the added weight a little better. – The Rig is now also a bit shorter and not as long as it used to be for more practical reasons and the weight is a little bit less than before. Single Focus Solution – The Macro Focusing Rail unit was replaced entirely on the Single Focus Anamorphic. This new version provided much better stability due to it having a central gear system and its partly made of plastic which lowers the weight of the whole rig as well. The focusing rail was not cut as much and is now longer than the previous modification. There is a lot less play in the rail and therefore is a tighter fit. The new unit did require some more cutting than expected and also a unique way of holding down the back of the rail while the weight of the front caused it to lift (more on this later). Follow Focus Module – I’ve added a follow focus rail with custom add-on module. The previous design didn’t have a good way of finding the focus rails knob at a moment notice in order to focus in or out so i created a customized 90 degree gear box mounted to allow any follow focus to be mounted and used as normal. I purchased a 3D printed gear that attach’s to the Focus Rail’s knob, to allow the follow focus to turn it once a custom 90 degree gearbox is attached. (more on this later in the modules section). Camera Rig Support System – The Weight of the rig is at or exceeding 14 lbs so a new Tripod Fluid head is needed to support the weight and allow proper panning shots. I recommend purchasing the Benro S8 Fluid Head from Ebay. Currently i was unable to finance one so am still using the S4 however its overloaded at a max capacity of 8.8 Lbs. The Benro S8 is also superior to the Manfrotto 504HD due to some tests i saw on Youtube. Get get the S8 you won’t be disappointed. Camera Rig Support system – I added a Neewer brand Pro Tripod Leveling Center shaft support (Link in parts section). This allows me to essentially level the entire upper support when on uneven ground more simply than fiddling with the support legs. Most newer and higher end tripods already have this. The Benro S8 Aero tripod series does. I didn’t have the money for one of those so instead bought the SLIK 700 PRO DX legs support from Ebay and added this component to it. So far the product works well and weight doesn’t seem to be an issue. Camera Rig Support System – I added a new Smallrig Versaframe Medium DSLR Cage and added extension rails to allow quick release of the camera itself from the cage for using in my photography. The Versaframe allows me to attach various filmmaking gear more easily using magic arms and makes the set up quite versatile. I also added a Formito Quick Release plate (compatible with Manfrotto 501/701 Quick Release) to the bottom of the Versa cage for compatibility with my other rig setups like my CAME-TV stabilizer and my plastic Shoulder rig attachment so you can essentially detach the versaframe to make a more compact Rig Setup while not shooting with anamorphic for run and gun setups. At $20.00 CAD these Quick Release plates are fantastic. 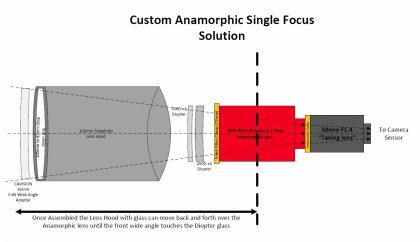 Anamorphic Lens – I went through a couple of different screws for the Front Filter adapter from Vid-atlantic attached to the Anamorphic lens trying to gain clearance so that the lens hood wouldn’t touch the screws at all as it slides back and forth when focused. I managed to find low height hex cap screws from ebay (link posted below) which will save a few millimeters of height. The unit still requires #10-24 3/8 inch in length however. I tried 1/4″ but the screws were not long enough to provide the attachment support that the Doublets required to stay mounted on the front filter thread. low height screws means however that tightening them is more difficult without a tool while shooting but its not really an issue. Field Monitor – I was finally able to purchase a Feelworld 7″ Field monitor which allows me to more properly see what i’m shooting. It has an Anamoprhic de-squeeze as well as markers and other film making assistant features on the monitor which has greatly increased my performance while shooting. 12 V Power System – Although not new and it was present on the previous build, i never mentioned how i set my system up with a relatively cheaper power system in order to power both the camera and the field monitor (except that the camera for some reason draws too much power when using autofocus and face tracking and shuts the whole system down). I will go over this system in more detail below however it uses an Anker power bank that has a 12 Volt DC output. I then use a custom assembled variable voltage step down regulator to change the voltage to 8.4 volt (7.2 Volts at full capacity) to simulate a Constant full battery. The Power bank is a 10,000 Lithium Ion Battery bank and lasts for quite a number of hours (essentially an 8 hour day of shooting at most). This currently powers the LCD screen and camera (but only if the camera’s constant focus and face tracking is off, apparently the amperage is too much load – we use manual anyways most of the time). 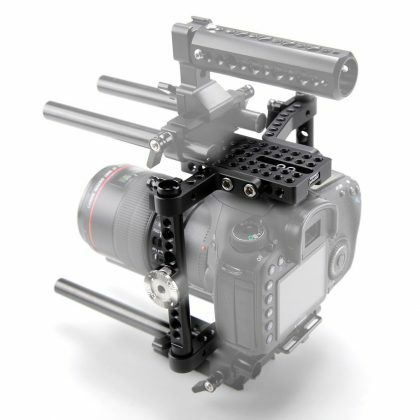 Camera Rig Support System – Benro S8 Fluid Head. At the time of this article and photo time, I was unable to finance the purchase of a proper Video Fluid head for the weights involved with the camera rig. Right now, I’m using a Benro S4 however it really does require the S8 due to weight problems. The S8 is a fantastic Head that allows counterbalance weighting and fluid drag control. Also in one example in a video on Youtube, they compared the S8 to the manfrotto 504HD and the S8 was able to hold more weight properly. The Manfrotto was clearly inferior (but cost more if you can believe that). TRIPOD – For my support system i am using a SLIK PRO 700DX tripod Leg system which is made of aircraft titanium and aluminum and other sturdy but light metals in its construction. It’s a rock solid base for Video equipment. 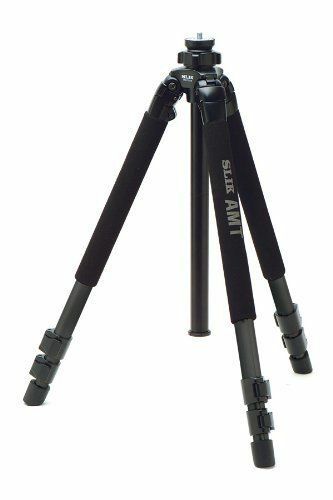 The Legs are not the lightest for travel and I wouldn’t recommend travelling great distances as the tripod doesn’t fold up small enough for carry-on however the benefit of its height at up to 70″ when fully supported is fantastic. This allows shooting over Crowds with ease and its support legs are strong enough for stability. LEVELING BASE – The Addition of the Neewer Pro Tripod leveling Base Allows this tripod to be leveled with Ease on any surface. No more fiddling with Legs or adjustments. Just one adjustment to the leveling base, watch the level bubble and voila, the tripod is leveled even on the more steep surfaces. The 15 degree maximum level is more than enough usually for video work. BENRO S8 Video Head – The Benro S8 Head is the perfect addition to this setup. 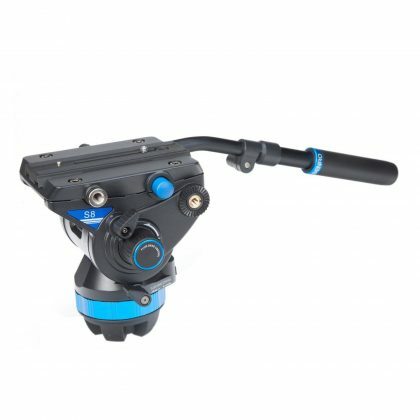 Allowing up to 17 lbs (8 Kg’s) of Camera weight while still giving you that fantastic Fluid head. Although i currently don’t have one, this is the final piece of puzzle. Note that Benro USA itself won’t sell the Head separately. Ebay however has some retailers who will and you will save money buying it there. That completes the Rig Structural Support system. Feel free to use any other system you prefer or already own, however for the cost, this setup is pretty good on the cheap. The next item logically would be to build your own Rig or buy an already put together system. I wanted the flexibility of having a Rig that could be mounted on a Tripod, a Shoulder Rig and my CAME-TV Steadicam system. I also wanted the option of lightening the load and creating a smaller rig with just camera and a few bits for those low shots or more mobile shots. I think I’ve found a good solution that works for me. Main Rig Support system – This main rig support system is the center piece that holds all of the weight on top of the tripod mounting plate. It uses 15mm rods as a base for other accessories to be added on top and is the cornerstone of the rig support. My unit was purchased quite a while ago and even had UNC threaded connecting rods which are incompatible with Small Rig’s threading until i replaced them. I recently found an almost identical version of my pro rig base on Ebay by Fotga company. The main benefit of this component is that it has a height adjustable camera mounting plate. This is essential for our build. 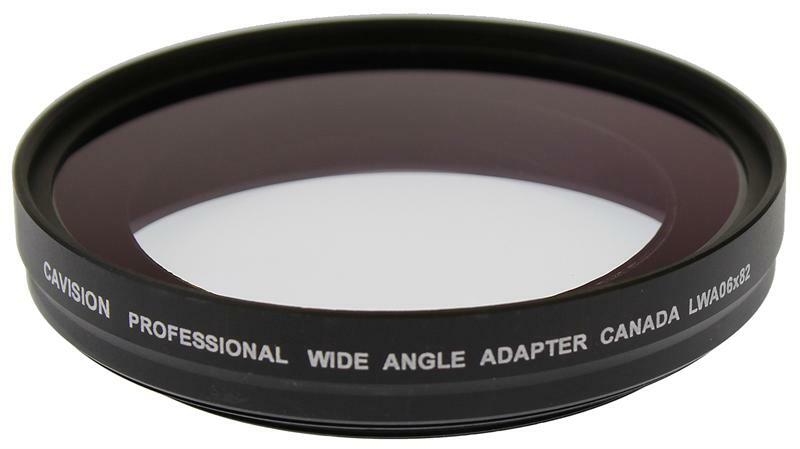 Note: there are cheaper versions like this however i am less inclined to test them due to it being a very essential piece for the anamorphic solution. Original one I am using. They do not sell it new anymore. This is missing the front Lens support piece (which isn’t needed in the design anyways) and possibly the rear 3rd screw hole to mount the rear 15mm rod support for the custom power so a hole may need to be drilled and then tapped for 1/4″-20 tripod hole size. 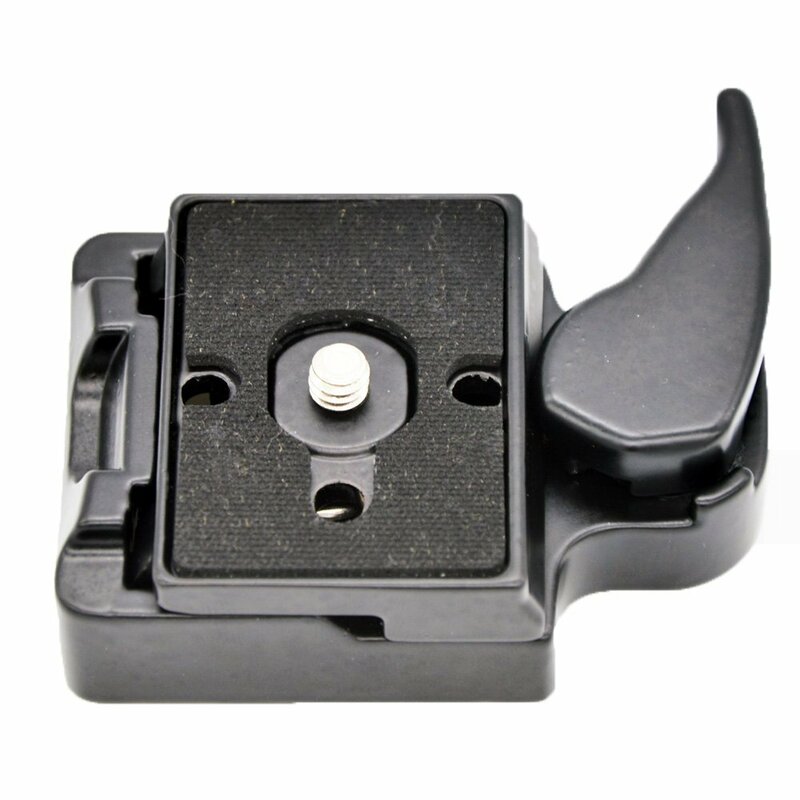 The Height is good however and having the included mounting means you won’t have to purchase the Manfrotto compatible 501/701 Quick Release plate from Formito (more on this later). The next critical piece for having a modular rig is the Camera Cage support. This is entirely optional however It adds a number of improvements to the system which make life easier. Adds more mount points to mount equipment to. You can add your handle directly to the cage instead of your camera to spare you camera from possible damage to the hotshoe and the camera body over time. With the optional quick release you are able to remove just the camera cage component with most equipment attached to go for non-anamorphic compact shooting solution with ease. (make sure to plug-in batteries for this however). you can even add a quick release for the camera itself within the cage to allow swapping cameras with ease. This is a lifesaver for us photographers who some times do video projects and need to swap our gear back and forth between shooting set ups! It provides some protection to the camera itself. It allows more customizable 15mm rod options. One small update: I forgot to mention that in my build i added two 4 inch rods to the top of the versaframe rig to give me more height on each side. I also purchased 15mm connecting rod screws from smallrig that allow then to attach. This essentially gives you more height on either side of the camera and also allows you to use a quick release under the camera and remove the camera without having to unscrew the Coldshoe camera support to hold the camera in to the versaframe each time (i never use that part, I found it awkward so the top portion just sits slightly above my camera and i can remove the camera fairly easily). 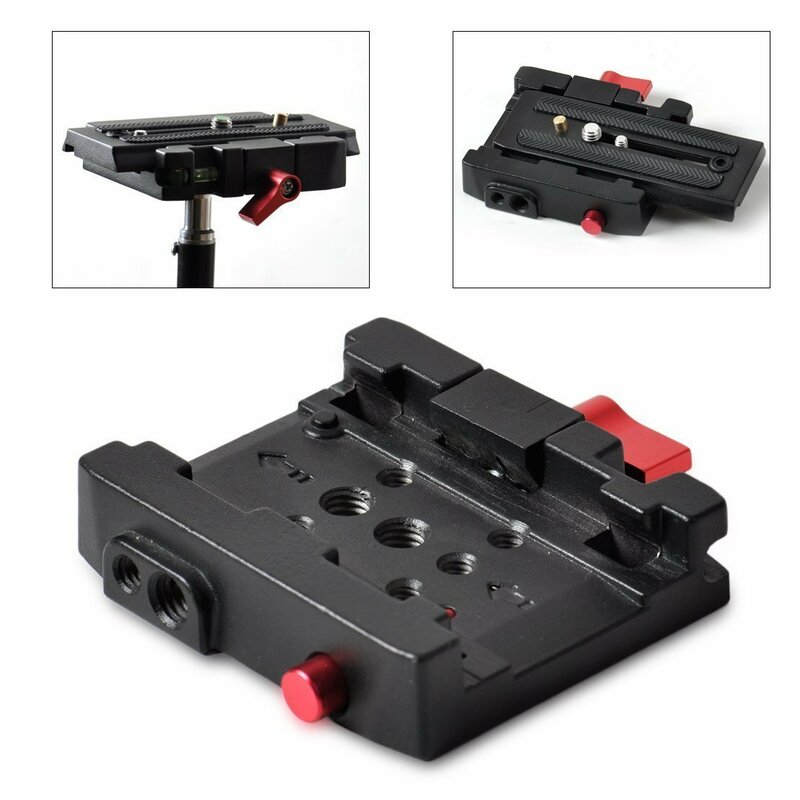 Formito Quick Release Plate and base – this is a manfrotto 501/701 copy. It’s fantastic for its price point and can be added to the top of the base to attach your Versaframe to if yours does not already have a quick release built into the riser like the Neewer Pro version I have doesn’t. Standard Manfrotto Quick Release plate (Based on Manfrotto 200PL-14 QR system) – for removing camera from Versaframe rig to swap camera out only. Smallrig Top Handle (Flash mount style) – A Good handle. I would have preferred a non Flash mount style but this one was reasonably priced, still works quite well. 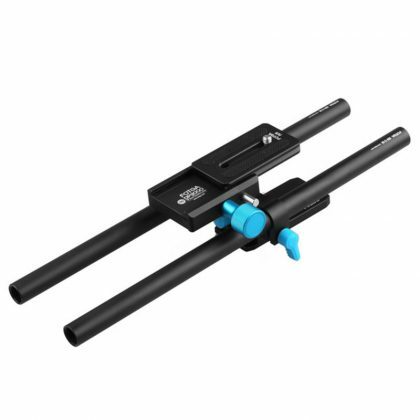 (1 set) of 2 Smallrig 4″ 15mm Rods – One set of short 4 inch rods to extend the versaframe vertically to fit larger cameras or for adding that Quick release plate. 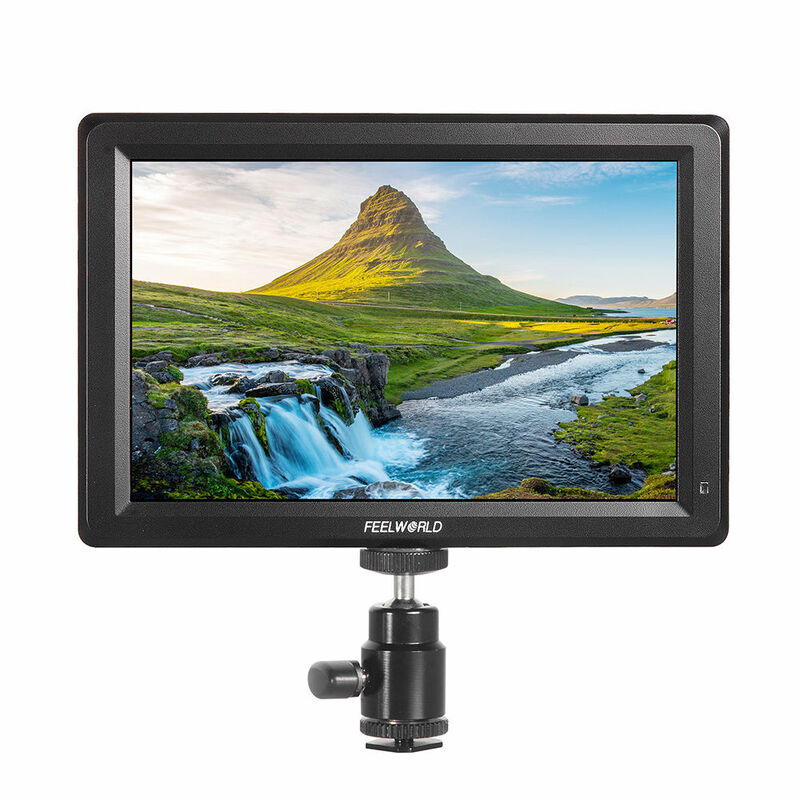 FeelWorld 7″ 1920×1200 IPS display 4K field Monitor – this amazing 4K field monitor has all the toys for shooting anamorphic. It supports 4K signals but also does full HD 1080p. It’s screen is fantastic and even though it’s a different name that i hadn’t heard of before, the performance for the price is fantastic (around the $230 CAD mark at the time of my purchase about June 2017). It’s also really light weight (without battery). Best of all you can plug in a DC power source. It also has HDMI OUT in case you need it and a headphone jack for cameras that pass audio through the HDMI port. If you take a look at the center rig support plate i first mentioned, the rear 15mm rods of the single focus in the pictures above are what connect to that support. This makes the unit highly modular which allows taking modules off with ease when you do not require an anamorphic specific setup. Note: As with the first build, spacing and clearances for parts due to moving parts is a huge consideration of getting things in the right spot. You may need to play around with where a particular part sits on the rail versus what other part needs to move around it. One thing as well, the taking lens will also determine how far the anamorphic lens sits on the rail. The clearance for everything was the trickiest part of the build to get right. The images above of the single focus module with the anamorphic lens are in those spots for a reason. Pleae keep that in mind as you build yours. UPDATED on this build! (1 package of 10 – only need 4 however) #10-24 3/8” Socket Low Head Hex Cap Screws (to replace longer ones shipped by Vid-atlantic ) – These allow the proper clearance rather than the full socket head screws beforehand. UPDATED on this build! 2-way Macro Shot Focusing Focus Rail Slider – (Heavy Duty Center gearing) from Ebay (Physical cutting required to fit – Modify the rail length with metal Hack saw to fit as necessary and re-attach rear guard metal plate). we use the top part of the macro rail. Since our solution uses up to 6 cms on the rails scale and to fit properly we need to cut the rail itself and then drill a hole in the center again for mounting to the Lens holder riser. IMPORTANT! (2) x 4 Hole Risers – These are the main support for the Single Focus solution to keep everything together. You will turn these on end to support a lower 15mm rod set for the Single Focus Solution. Purchased from Amazon.ca originally(These two risers attach the upper anamorphic rail to the lower single focus macro slider rail together to create a supportive system. This is a critical component as it also allows you to mount other systems on the sides where the open holes for the rails are sticking out such as my custom follow focus solution (explained later) – have a look at the above images to see this component and where it sits. NOTE: I also replaced the inner hand tightening blue screws/handles in favour of some smaller hex cap screws that were used on the vid-atlantic front filter that i had purchased. They allowed more room for the macro rail to move past this part. You will want to replace them as well. You can use the low socket cap crews left over from that purchase however they will not be as easy to hand tighten or loosen. if you are still confused, take a look at the previous images, they should blue tightening screws on the outside, I am talking about the inner ones. NEW to this build! 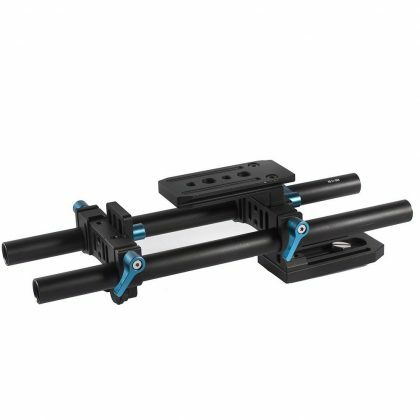 (3 sets) of 2 Smallrig 4″ 15mm Rods – One set for the Matte box mounting and one set for the top rail that the anamorphic lens sits on as well as another set for extending the bottom rail for use with a handle when configured for shoulder mount use. Some thick black Zip ties (11″ are the ones i used) – for threading through the #3 item tight – Pick these up at home depot or any other hardware store. NEW! 3D printed Gear for Follow focus (Optional but highly recommended) – This part is optional however highly recommended if you want to build the custom follow focus gear box and be able to control fine grain focus control while shooting. I’m providing the link to my thingaverse object I created. The gear fits the NEW Macro rail slider Gear I’ve listed as #8 in this list. I recommend 3D printing the gear at the highest resolution and 100% filled. I choose PLA plastic and it seemed to work out well. Simply add a couple of layers of black electrical tape to cover the gear knob on the macro slider and this 3D printed gear will fit perfectly. For the price of a custom part, thingaverse’s service is not bad. Also if you have your own 3D printer you will save yourself money by printing it yourself. Costs were reasonable at about $17.00 USD for me to Canada right from the Thingaverse website. They can print and ship it to you. Optional – The Matte box in the photos is the FOTGA DP3000 Mark 3 which i got on Ebay. I’m providing the link here for that as well. As of this posting, the ISCO Red Ultrastar plus 2.1 70mm has become a little more rare and prices have gone up. As these are used lenses now they are becoming harder to find at good prices and this particular model is the best fit for dimensions and optical diameter as well as image quality. The Gold 70mm Blue ultrastar would also work however less quality than the red Ultrastar plus. ISCO does make all kinds of these projector lenses. The key is the 70mm diameter dimension as we are building the optics using certain dimensions starting from small to large. The solution does not work well if you have a larger diameter anamorphic due to vignetting and other optical issues. You would then have to increase your Single focus solution size to compensate and with off the shelf parts, it’s not doable for a reasonable cost. Note: Ebay sellers jimvanauto (Canada) & vinod.climes (India) occasionally sell these on Ebay and they are the best to buy from in my opinion due to the fact that they have good feedback and both communicate well. Shop around and try to get a deal on these lenses. These lenses crop up at different times on Ebay at various prices. Anamorphic lenses seem to be getting more popular again due to the GH5’s release. It is the perfect combination in my opinion when used with my single focus solution. DSLRKIT Tripod Mount Ring A001 (originally for Tamron AF 70-200MM F/2.8 D) from Ebay – 70mm Inner Diameter! Important for Isco ultra star! (2) Medium sized Metal Washers (for spacing) and 1/4-20 (1 and 3/4″ long) Screw and 1/4″-20 Nut (find these at any hardware store) – Washers are for creating some clearance for positioning properly. 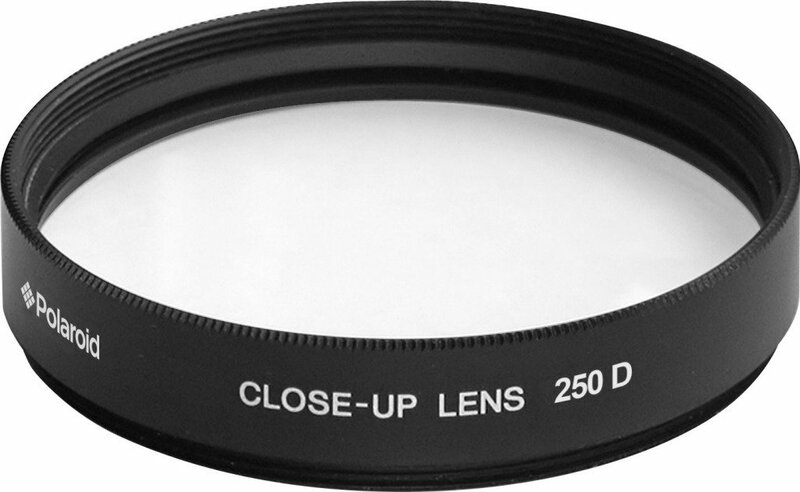 Two thick rubber bands – this prevents the anamorphic lens from turning inside the Collar ring support. 2 different sizes of Camera Lens band (they are made of silicone) – one at 49 mm or 52mm and one at 70mm. These are for the Front filter adapter to bite its screws into as well as the rear of the anamorphic lens for the clamp to taking lens to bite its screws into so as not to damage the anamorphic lens. You can also find these at a local camera shop for relatively cheap. Vid-atlantic.com’s – Back Anamorphic Clamp (Narrow Version) – 60mm (comes with 58mm and 52mm ring adapter) – Although my ISCO already came with a 58mm anamorphic clamp adapter that fits exactly right on the back of the ISCO red Ultra, Vid-atlantics narrow clamp seems that it would be to correct choice as there isn’t a lot of surface area to clamp to. If you buy from vinod.climes on Ebay he usually provides the clamp. Optional – Vid-atlantic.com also sells 3D printed ISCO front and rear filter caps for when you are storing your ISCO out of the Single focus and rig set up. The rear cap is especially helpful, i use mine all the time when the anamorphic is not in use or being used much. My Custom rig set up uses a 12 volt power bank by Anker as well as a power voltage regulator and Power coupling for the camera. Anker Pro Series Power bank – 12 volt/9 Volt output 2A – 20,000 Ah – Although this particular model is now discontinued and very difficult to find it may be possible to find another power bank with the 2A and 12 volt output. The key is to find a 12 volt source that you can use to power your rig in a convenient package.The most common form now days is to use V-Mount batteries and run all of your gear off of them. CAME-TV produces a V-mount battery plate (as well as others) that you can mount and use however that increases costs as V-Mount Batteries are expensive.Another solution is to mount Sony NFP style batteries with battery plates and output the voltage needed. CAMVATE 15mm Rod Clamp 1/4″-20 Thread Knob for DLSR Camera Rig Cage Baseplate from Ebay – This is what i used to mount the power system on 15mm rod support at the back of the rig. You could use Smallrig block parts as well. These were on sale and cheap so i bought some. They work well and also have extra mounting holes for other 1/4-20 and 3/8-16 mount points. Power bank mount – Something to mount your power bank to your rig. This can be anything, I used a Tablet tripod holder from amazon. Works okay but not the sturdiest thing in the world. DC Power Coupling – for your specific Camera – these are sold on Amazon and Ebay for relatively cheap prices. They plug into your camera like a battery but have a DC wire output, plug that into your output of the voltage regulator. DC Power Cable Splitter – Splits into two 2 DC outputs from one. – Ebay or Amazon should be able to find one. The follow focus module is essentially a clamp on piece of 15mm rod connected to any follow focus combined with a custom 90 degree gear box that I’ve created. At the time of this article I was not able to complete it in time due to the parts still arriving from China. As soon as I complete it, I will include it in this article as an update. My first attempt at creating a workable 90 degree gear box has failed. Partly due to not receiving the proper parts on time from some chinese distributors. Gear Review Video for this article coming soon. My Gear Review Video for this rig, the isco red ultrastar and single focus solution is now completed! Have a look, subscribe like and share my video and please leave me some feedback on Youtube! Please note that i make a small commission for all the work I did putting together the buying links. I will thank you in advance for your support by clicking and purchasing through any “Buy Here” links in this article. Your support really does help out. If you have any comments, please feel free to leave a comment by registering for an account or contacting me by email or Private messaging me on my YouTube channel! Please support the community of independent film and YouTube creators. Without them there would be no entertainment.